Opel unveiled the first Mokka in 2012 and has commendably attained the same of over a half million models. Scheduled to debut at the 2016 Geneva Motor Show, we are going to have the Opel Mokka X 2017. The model gets a sporty front while the interior has some updated tech features and a redesigned arena to sooth your eyes. 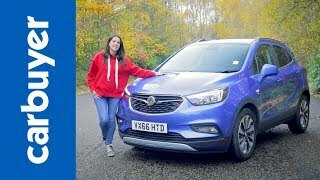 Let us have a look at the review of Opel Mokka X 2017 to know in detail about the model. The interior of Opel Mokka X 2017 receives a major makeover, especially in its cabin. The dashboard on one side featured redesigned air vents while the new center stack and the larger infotainment screen add to the glory. Talking further about the screen and center stack, the former gets a new position which in turn adorns the center stack with a cleaner appearance while the steering wheel hides behind an updated instrument cluster. Same goes with the seats and door panels; the former gets more comfortable while the latter gets new look. Talking about technology the model comes with IntelliLink that gets accompanied by Apple CarPlay, Android Auto Connectivity and OnStar services. The model also gets Keyless Open and Start and standard. 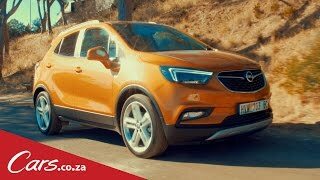 Thus rounding up the interior details of Opel Mokka X 2017 I would say is that it is a good blend of comfort, looks and technology. The exterior of Opel Mokka X 2017 is in true sense ‘a redesign work’ by the company. Starting with the front fascia it has a redesigned grille sitting amidst the aggressive narrow shaped LED headlamps. The former gets some sharper and bolder edges that make the front section look sporty. The bottom section has a redesigned and gets a new grille featuring three horizontal bars and set of fog lamps on either side. The rear end gets fewer changes in comparison to the front fascia. Its list includes new cluster patterns for the taillights while a slim light gets housed above the bumper. 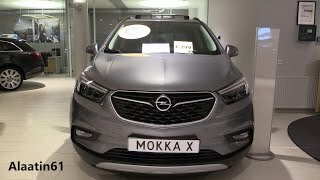 Thus rounding up the exterior details of Opel Mokka X 2017 I would say that the major changes made to the front portion, undoubtedly make the model look more aggressive and bold. 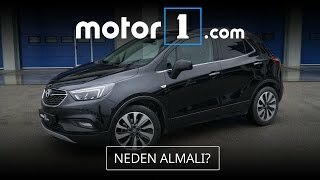 Beneath the hood of Opel Mokka X 2017 will be two engines; first is a 1.6 liter four-cylinder diesel engine in two versions, generating total output of 108 hp and 134 hp while second is a 1.4 liter four-cylinder gasoline producing total output of 150 hp mating to six-speed automatic transmission. 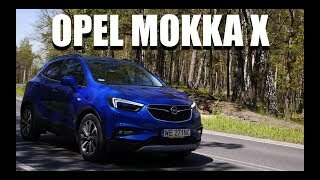 The performance figures of Opel Mokka X 2017 are still not shared but we expect to have them in near future.